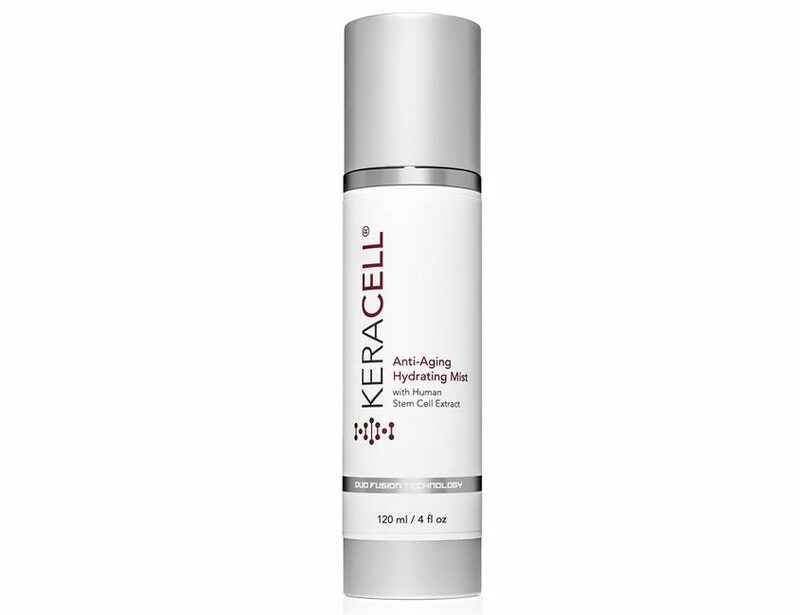 KERACELL® Hydrating Mist is a light hydrating spray featuring MHCsc technology. This refreshing and soothing Hydrating Mist contains Hyaluronic Acid, potent Peptides and natural fragrances that help brighten, moisturize, and assists in stimulating the repair and renewal mechanisms of the skin. Deionized Water, Stem Cell Conditioned Media, Hyaluronic Acid, Propanediol, Glycerin, Panthenol, Sodium PCA, Citrus Limon (Lemon) Peel Oil, Citrus Aurantifolia (Lime) Peel Oil, Carpylyl/Capryl Glycoside, Polyglyceryl-5 Oleate, Sodium Cocoyl Glutamate, Glyceryl Caparylate, Citric Acid, Phenoxyethanol, Ethylhexylglycerin. Spray mist face, neck and décolletage throughout the day as needed. Can be used before applying serums and moisturizers as a carrier to extend your skin care products. May also use to set makeup. This refreshing and rejuvenating formula is ideal as the final step for facial treatments.